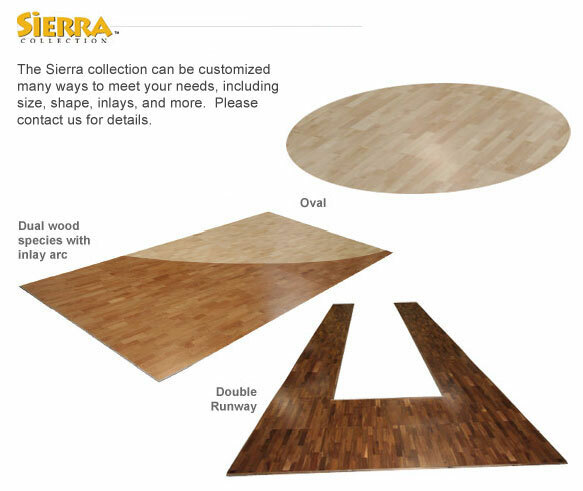 An environmentally friendly flooring option made from rapidly renewable bamboo sourced from sustainable forest practices. Lightweight and highly durable, this rollable bamboo floor lays flat to fit a 10′ × 10′ trade show exhibit space. Suitable for indoor or outdoor use, with a waterproof non-slip backer. A wheeled shipping case is recommended. Part of the rapidly renewable grass family, bamboo re-grows to maturity in only 7 years and provides a beautiful and durable alternative that is much more eco-friendly. We use adhesives that are both strong and emission free, and it is finished with a water-based glossy glaze. Ships from Wheeling, IL. Illinois residents subject to state sales tax. The flat shipping rate for this package is $96.10 USD for standard delivery within the continental United States. Alternative shipping methods and International shipments are available; please contact for a quote. 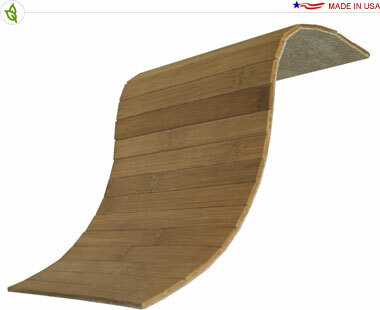 This is a natural wood product and therefore grain and color may vary. Produced from renewable raw materials using green, environmentally friendly energy and sustainable forest practices. To request a small sample please contact us.